Sprechen Sie Deutsch? Habla usted español? Você fala português? Parli Italiano? Spreekt u Nederlands? it’s probably easier than you think and we would be most appreciative! The process is really simple. 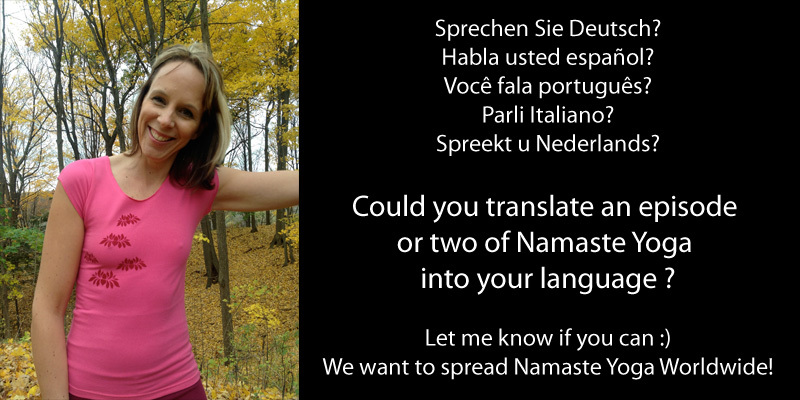 If this sounds exciting and perhaps a little but of fun, fill out the form below and help us spread Namaste Yoga to your friends, fellow Yogis and relatives in your chosen language!